Today, we have an interesting new build for those of you following the developer stream. New features include: a tab list menu, print previews, and more data import options. 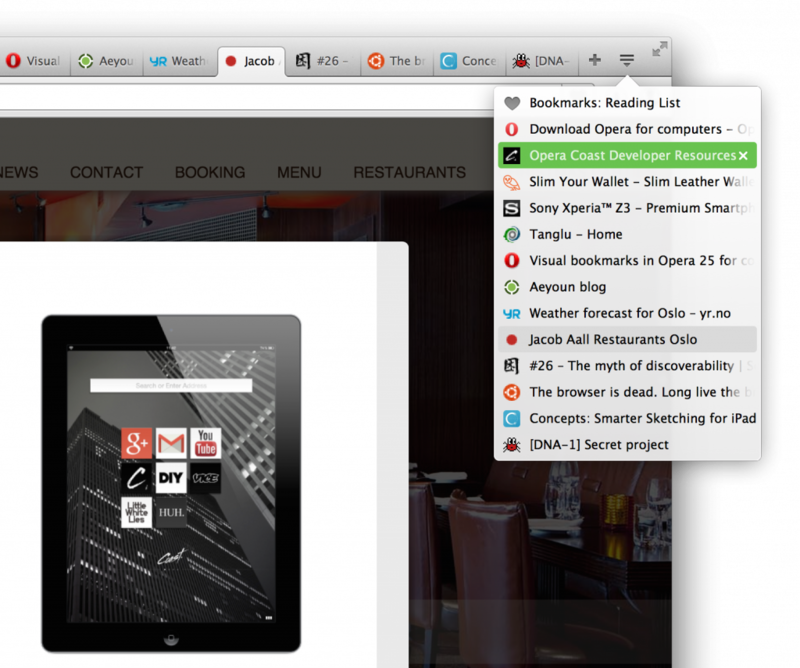 Our tab menu provides an alternative way to view your tabs, showing them as a list to the right of your screen. If you keep many tabs open, this should help you find the tab you’re looking for or decide where you want to go next. Page titles are easier to read when many tabs are open. The tab menu is keyboard-accessible. 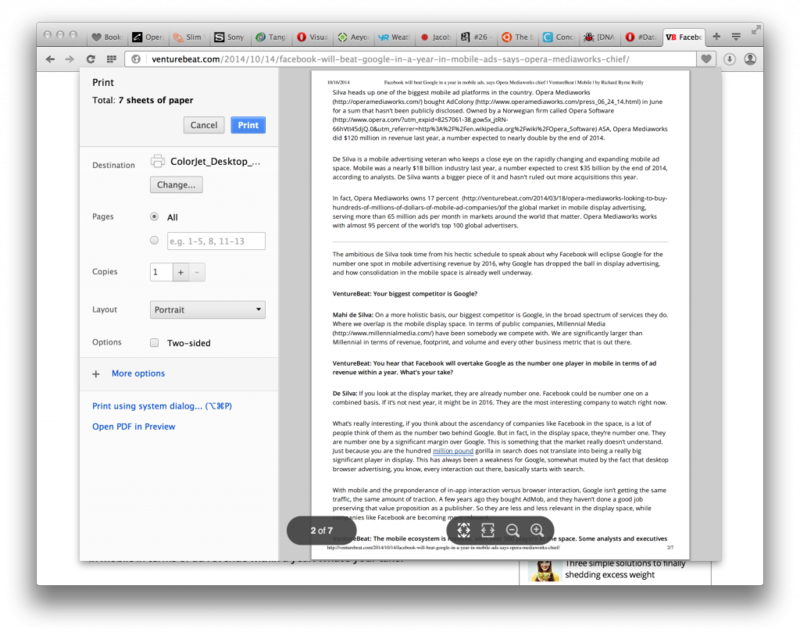 For instance, use Ctrl+K (⌘+K on Mac) to open the menu, the arrow keys to highlight an entry, and Enter to focus a tab. Esc will close the menu. 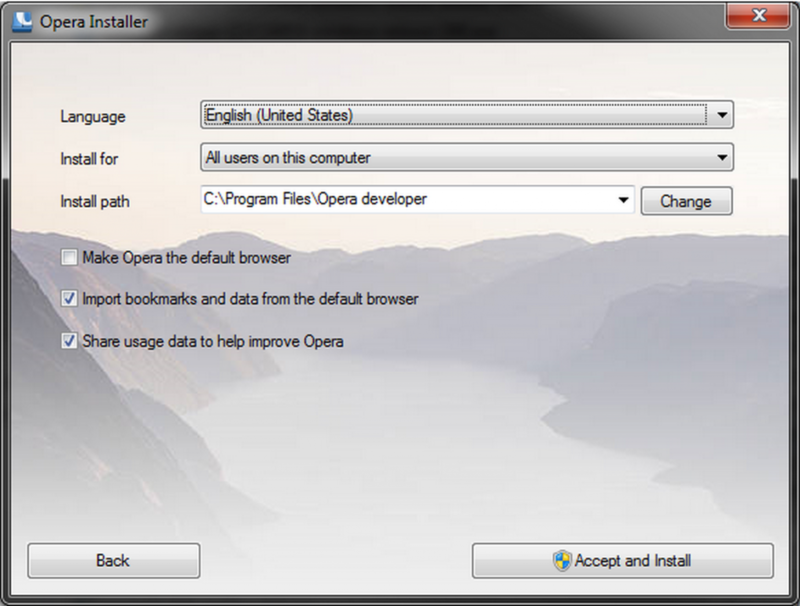 The list works in conjunction with the tab-preview option, providing a tab cycler that can be used with your mouse or keyboard. The list is accessible via fullscreen mode (a.k.a. presentation mode for the Mac users out there) to make tab switching and selection easier for those who like minimal UI. 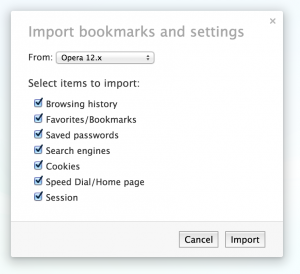 Opera now includes a built-in print previewer, so you can see how a page will look before wasting paper. Some time ago, we decided to add silent import to assist our new users. 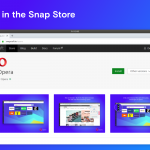 After feedback from this blog, we never introduced the feature into the Opera beta or stable streams. Rather, we gave it a second look. Today, we are bringing the feature back as part of the installation process, but it’s not silent anymore. 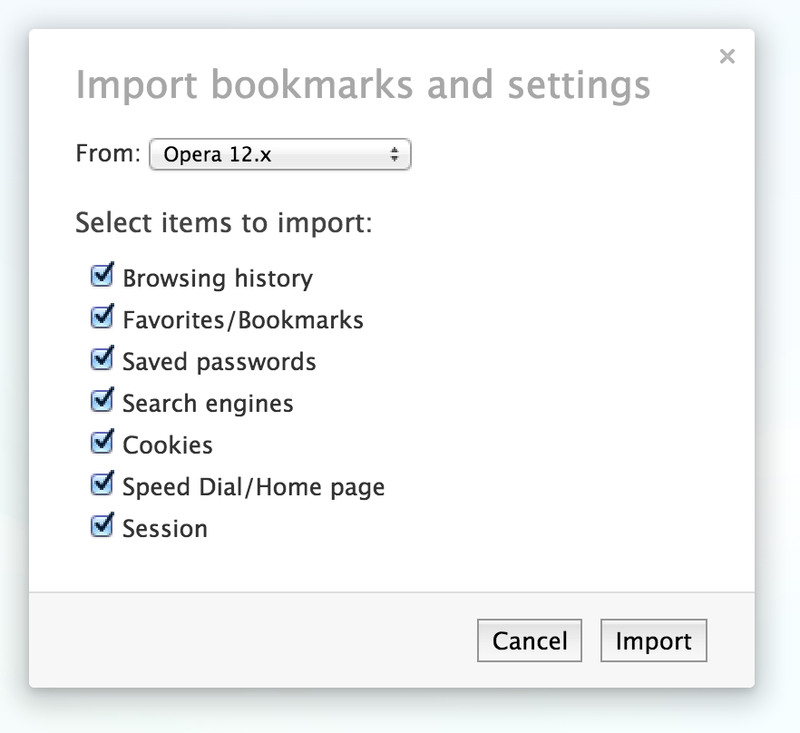 In the previous blog post, I neglected to mention our new importing options. 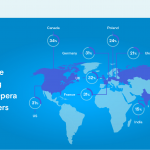 Be sure to check them out if you are switching from another browser and want to retain your old data.